The number of new cars sold in the UK reached close to 2.7 million in 2016, an all-time high, and more than 500,000 of these vehicles were registered in March of that year alone. Many of these initial three-year vehicle manufacturer warranties will now be starting to expire, leaving thousands of motorists with the decision as to how and whether to continue to protect themselves against potentially costly repair bills, or risk being out of pocket. A YouGov poll of 1,293 car owners commissioned by The Motor Ombudsman, the automotive dispute resolution provider, revealed that just over half (53%) of respondents were aware that they could extend their new car warranty when it came to an end. An even smaller proportion of all of those surveyed (32%), knew that they could purchase a policy from a third party provider to cover their vehicle for another set period beyond that supplied by the carmaker. The research also showed that male drivers, and those aged 35 years and over, are the most likely to know that an agreement can be prolonged via the manufacturer of their car, or that a new policy can be taken out using an independent warranty administrator. 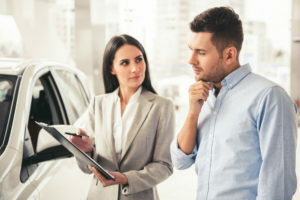 The study equally found that around one in two car drivers (53%) would be unable to name the parts of their vehicle that an extended warranty agreement is likely to pay out for in the event of a failure, such as an engine or radiator. In fact, drivers in Scotland and the 25 to 34s are the most conversant with the contents of their policy, with over 45% and 41% respondents in these groups respectively, knowing which components would most likely be eligible for repair at no cost to them in the event of a mechanical or electrical problem. Encouragingly, of those that were aware that a warranty could be extended via a manufacturer (53%) or third party (32%), nearly eight in ten (79%) of these respondents explained that they were mindful of the fact that an extended warranty agreement could be made void if they didn’t keep to the terms and conditions of the policy. Participants aged between 25 to 44 years, and again, people living in Scotland, were the most familiar with the fact that an extended warranty policy could become invalidated, with female drivers (70%) being the least au fait with the importance of adhering to the small print. Of the car owners who identified that a warranty policy could be contravened by not following their agreement to the letter, 82% knew that not following the prescribed car servicing intervals may prevent them from making a claim, with 77% also knowing that modifying a vehicle using non-manufacturer approved accessories could result in the same difficulty. Furthermore, the poll demonstrated that individuals are least likely to recognise that failing to follow a warranty administrator’s claims procedure would cause a contract to be nullified. To view The Motor Ombudsman’s Vehicle Warranty FAQs, visit www.TheMotorOmbudsman.org/vehicle-warranty-faqs. To view articles on new car and extended warranties on The Motor Ombudsman’s Knowledge Base, visit www.TheMotorOmbudsman.org/knowledge-base.